If you’re an avid traveler? Are you looking for some stunning beaches for the summer holiday? Or even a heaven with different various kinds of local food at a reasonable price? The answer to all of this question is Da Nang, of course! Don’t hesitate to check it out. Da Nang will not leave you disappointed. Actually located in the central region, midway between Hanoi and Ho Chi Minh City, Da Nang looks like a lonely planet with its stunning, isolated beaches, peaceful vibe and some of the friendliest people in Vietnam. The best time to visit and enjoy the sea is the summer, from April to September, try to avoid October and November unless you want to see heavy rains even tropical storms every day. 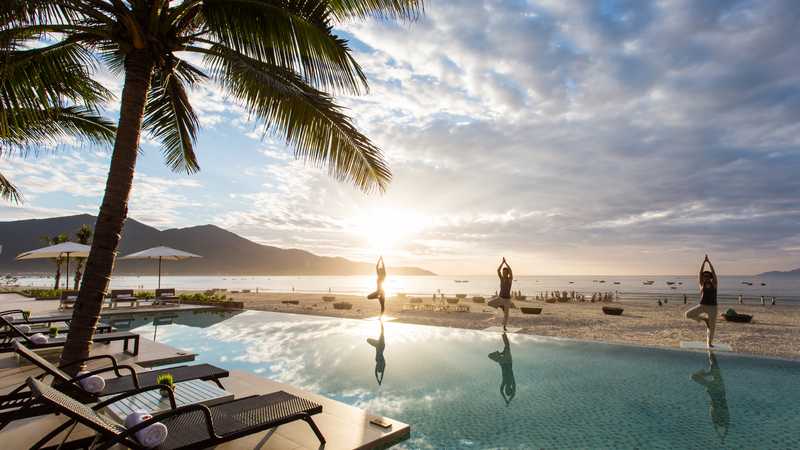 Voted as one of the world’s most luxurious beaches by Forbs Magazine, Da Nang beaches acquire a reputation for travelers from all over the world. There are leading types of accommodation along the beaches. Besides swimming and chilling on the beaches, it also offers various choices of activities such as fishing, water sports or even taking wedding photos. The street in Da Nang is pretty much pedestrian friendly so moving around on a scooter is a good idea. Motorbike and scooter rental services are always available in the most hotels and guest houses here.So you can be easily able to get one, discover every small corner and enjoy the peaceful vibe. Son Tra peninsula (monkey mountain) or Linh Ung pagoda are two places that have made a strong impression on visitors when they paying a trip to Da Nang by motorbike. If Son Tra is a lonely mountain with a fairy tale behind, Linh Ung is a symbol of local people that will protect a city from typhoons and natural disasters. Riding along the beach road as far as you can, you will fall in love immediately with rustic charm on two sides and prominent location and have a chance to see some monkeys. It is often said that: “the world is an opened book”. If you don’t dare to take the first walk, it seems that you just see the cover of it. For me, life is either an adventure with the variety of having fun and unforgettable experiences or nothing. Culinary takes the essential role in any trips. It is the culture, tradition and the one that reflects quintessence of its very own land and people. 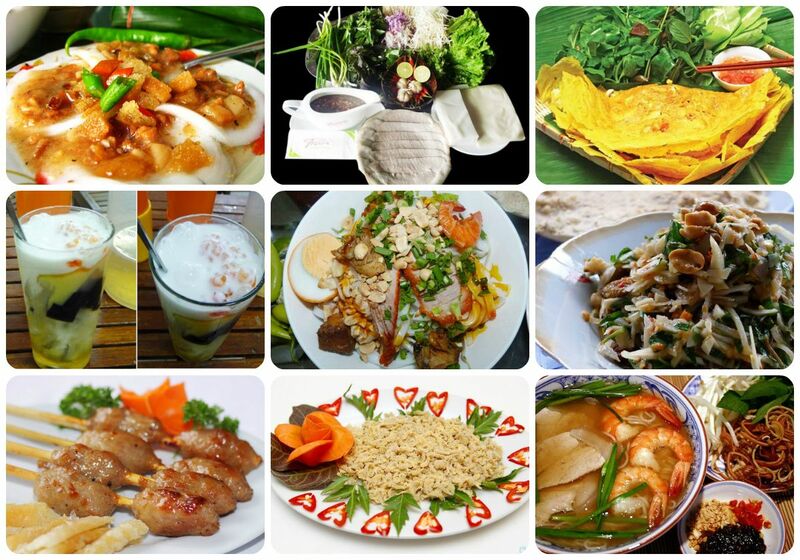 Vietnam is home to many kinds of delicious food and each city has its own cuisine’s culture. If you’re riding a motorbike as above or walking on foot and getting tired or hungry, why don’t you take a break and let’s try the local food here? From My Quang (especially Quang Noodle with frogs) to Cao Lau, chicken rice or bánh xèo (sizzling cake), it will be absolutely easy to find an available restaurant at any time of the day. With a reasonable price, nothing can beat the street food here. You’re such a softie when coming to this place. There are 3 popular mountain resorts in Vietnam: Sapa, Dalat and here Ba Na Hill. This place was discovered over a century ago by the French and now, it is the famous entertainment complex. You have to take a cable car to the top which is around 1500 meters above sea level. Up there, you will explore French village, pagoda, amusement park, French garden and some Europe architectures from different regions. The view from above is extremely amazing. When you arrive up there, a new world seems opened in front of you. The entertainment complex is an ideal choice if you come with your children. The temperature will go down in the evening so don’t forget to bring your jacket. If you’re a big fan of lemon tea in St. Joseph’s Cathedral, Hanoi, let’s try it again on the sidewalk in the evening next to “Cau Rong” Bridge. There are tons of riverfront bars, restaurants, and cafes offering terrace seats that overlook Vietnam’s longest bridge. If you visit Da Nang on Saturday and Sunday evening, The Dragon Bridge will show you a dazzling display of lights, fire, and water in 2 minutes that no first-time visitor to Da Nang should miss out on. What is better than taking a seat on the charming little coffee shops or booking a boat tour in order to both enjoy this special show and relax on your own.